Donor Unknown, a feature documentary which has made it to London as part of a DIY Fringe , put together by a team of queer creatives to make up for the week which was lost at this year’s 25th anniversary of The London Gay and Lesbian Film Festival at the BFI. It was originally showcased at Sheffield DocFest last year and is now heading to New York for its US Premiere at the Tribeca Film Festival. This compelling human documentary follows a young women conceived with donated sperm who tracks down her biological father online and discovers more siblings than she could have ever quite imagined and a rather unusual nomadic father who ends his anonymity after seeing his donor number in The New York Times. It’s a very surreal thought to think that one donor could have up to one hundred children. Some children are not even aware that they have been conceived using a donor, which in itself brings large issues. There are varying levels of laws and screening processes protecting the donor across the world. The London Women’s Clinic allows ten treatments per donor. Sarah Garrett from the Alternative Families Show took part in the Q & A session after today’s screening. This London based show educates and advises people who are looking to start a family. 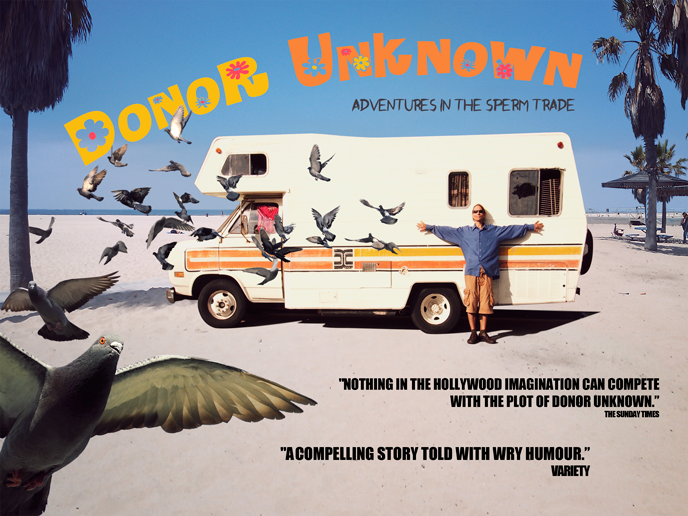 Donor Unknown brings to light some key issues with sensitivity and humor which opens the door to a whole new world of alternative family structures. It feels like we are socially running to catch up with theses scientific developments. It has been compared to the award winning ‘The Kids Are All Right’, which some say based the character of the sperm donor around the charismatic Jeffrey Harrison, donor 150. It will be released in the UK in June.